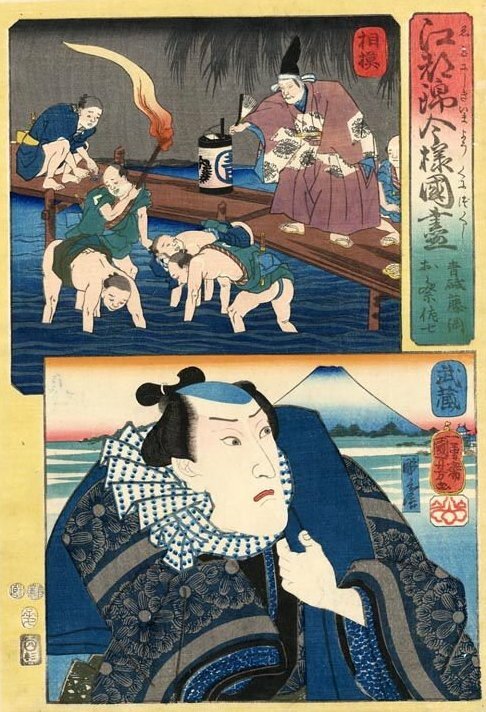 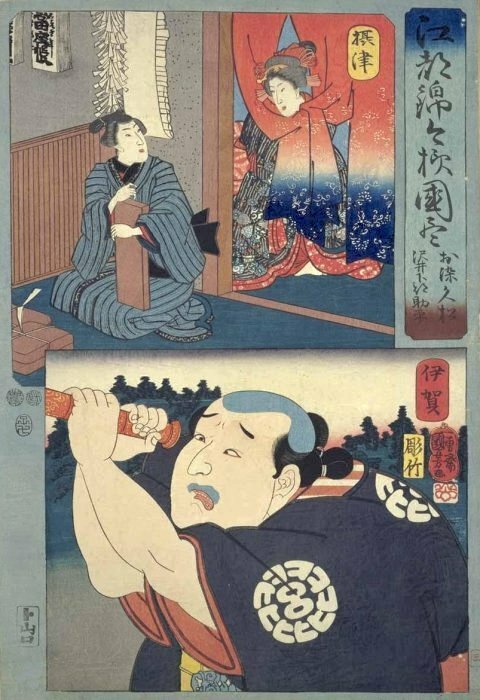 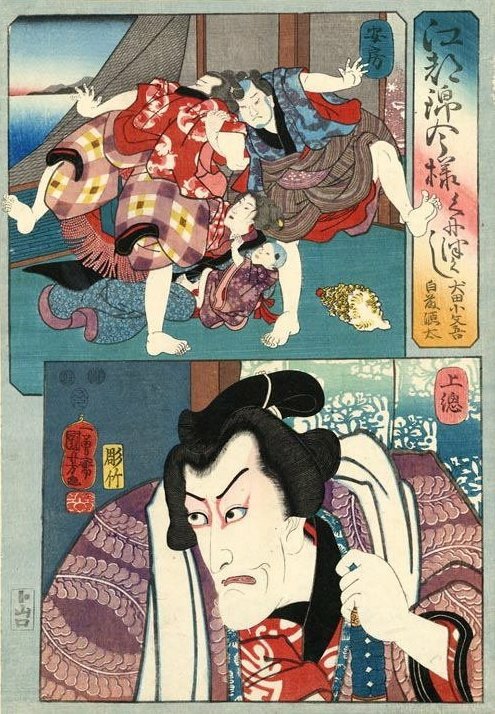 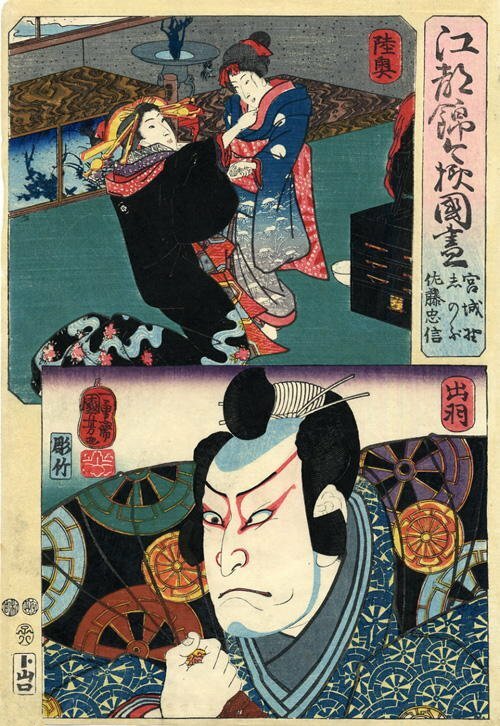 This series is listed as number 171 in Kuniyoshi by Basil William Robinson (Victoria and Albert Museum, London, 1961). 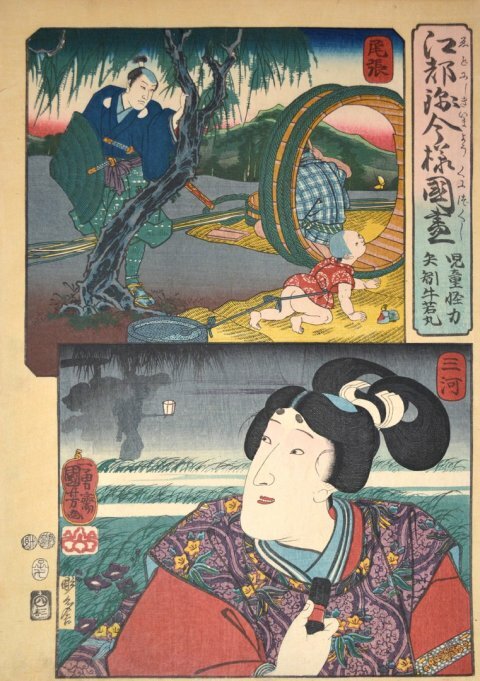 The prints in this series are each about 14 by 10 inches (36 by 25 centimeters), a size known as ôban. 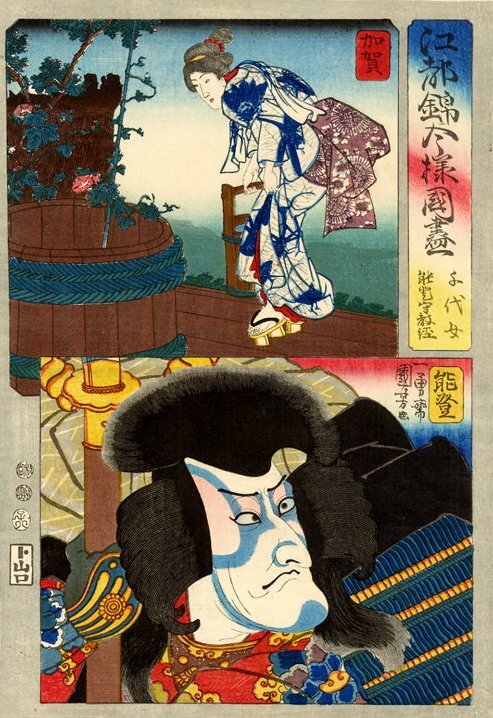 This is another version of the above print. 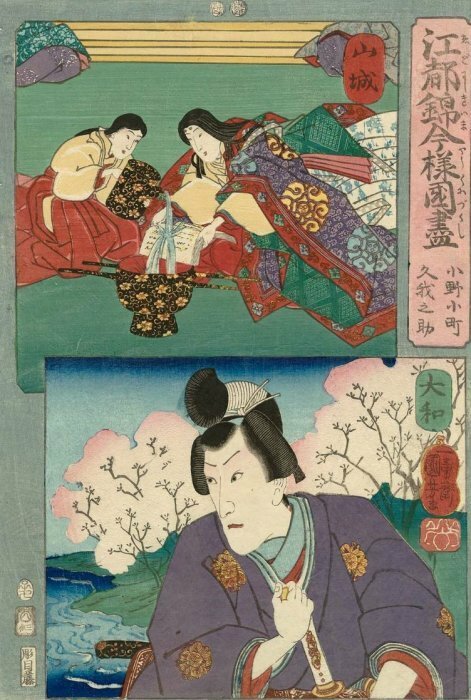 It is a less labor-intensive printing than the above, which almost invariably means a later edition. 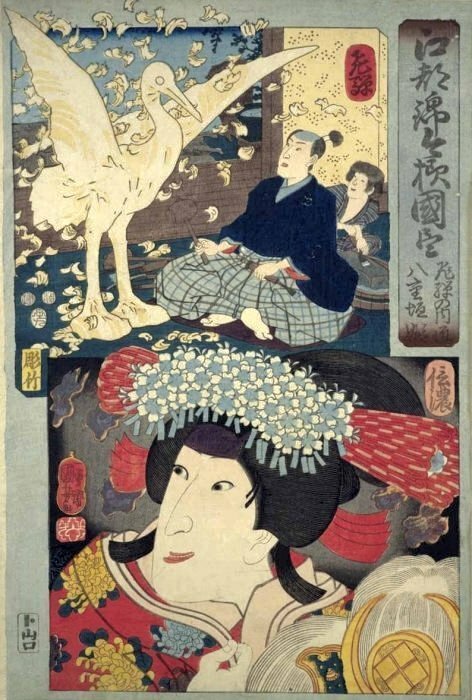 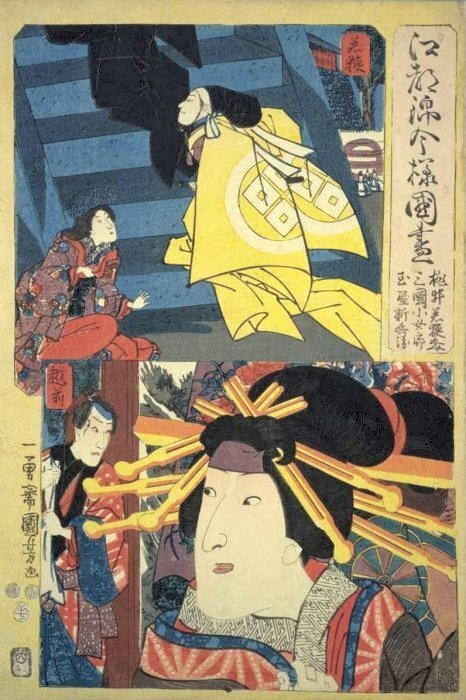 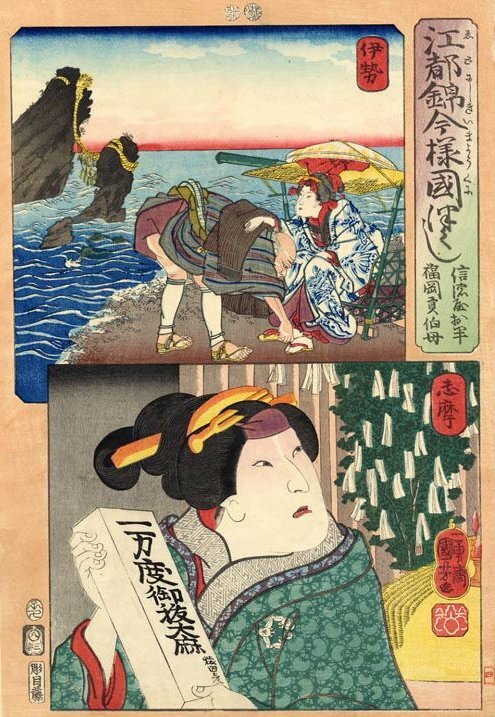 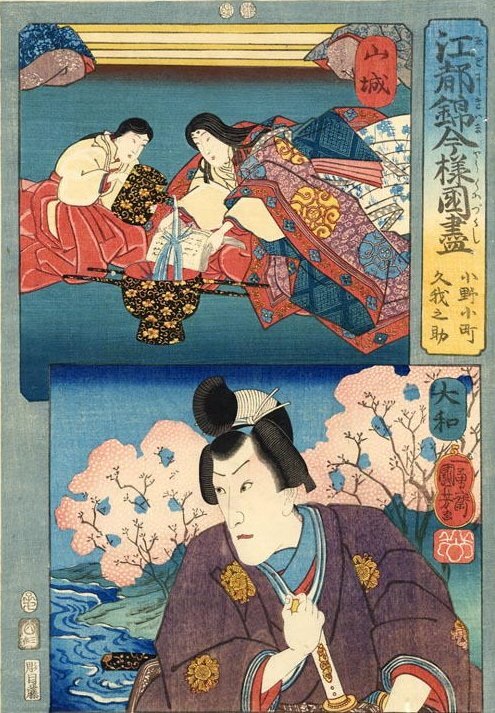 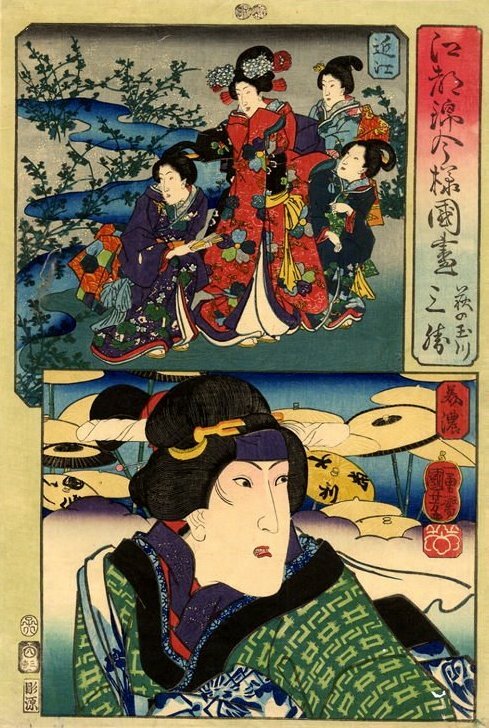 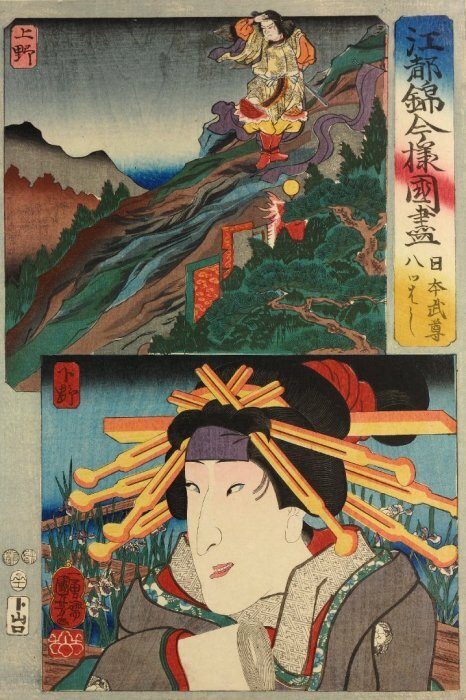 In this print, the delicate shading (bokashi) in the background of the upper picture and in the title cartouche was omitted. 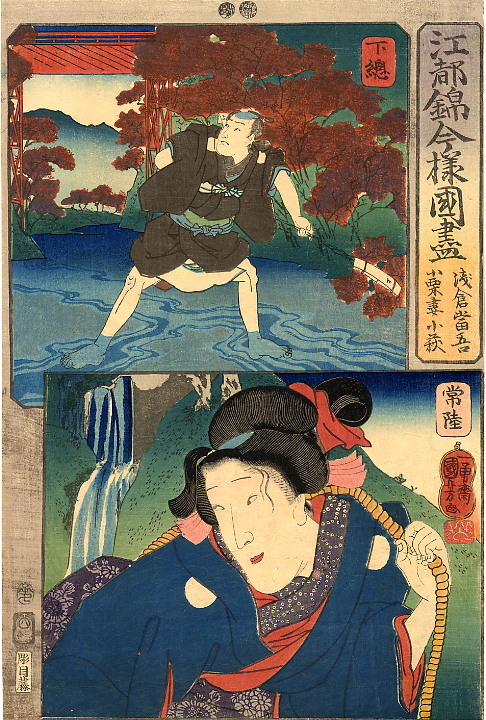 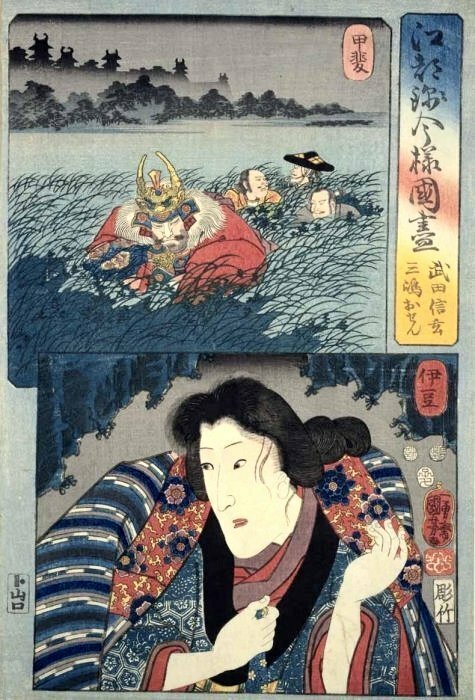 The bokashi in the river was simplified and is less naturalistic. 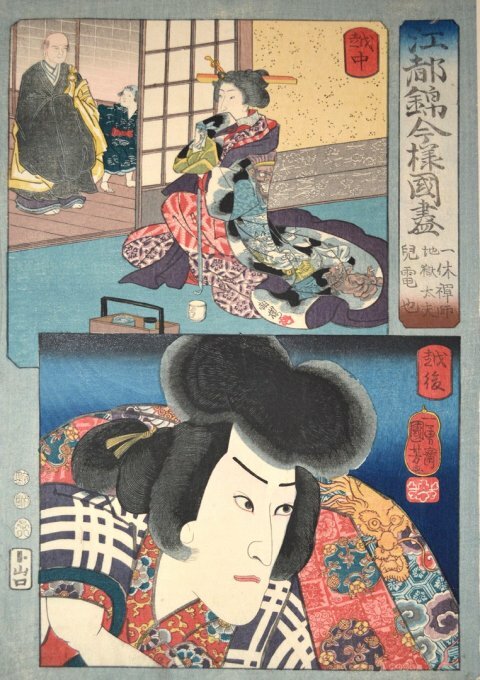 Bokashi was achieved by hand-applying a gradation of ink to the wooden printing block rather than inking the block uniformly. 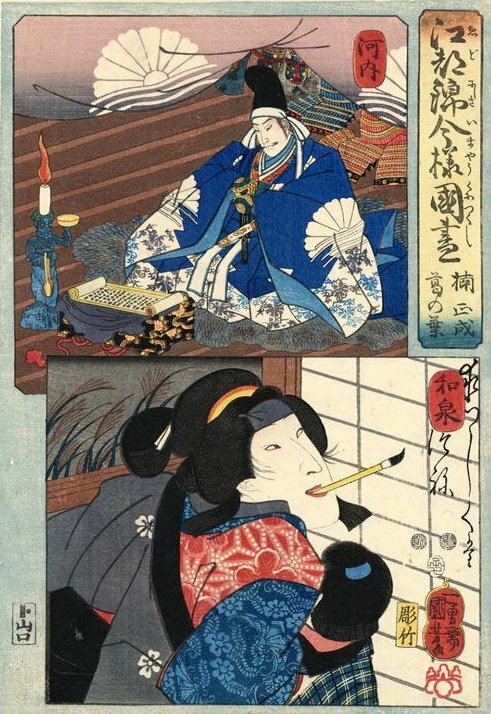 This hand-application had to be repeated for each sheet of paper that was printed. 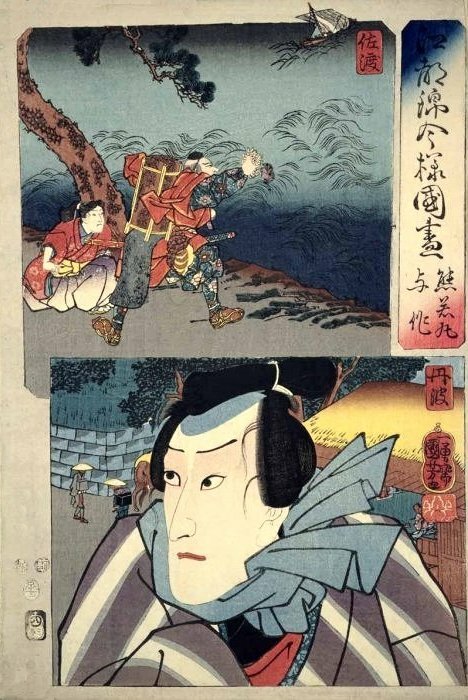 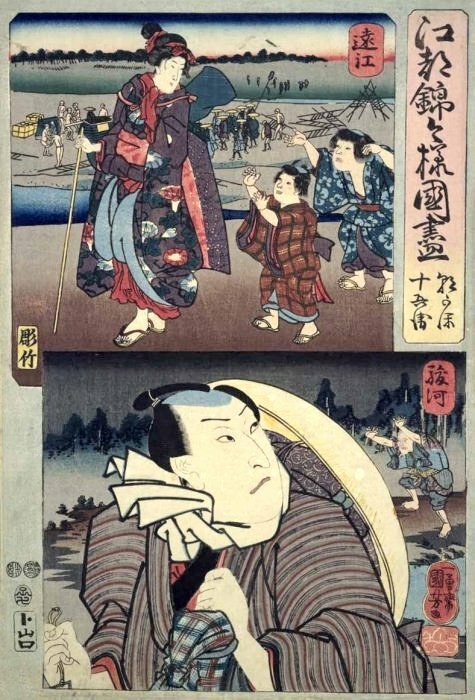 NOTE: Kusunoki Masashige was a 14th century samurai who fought for Emperor Go-Daigo in his attempt to wrest control of Japan away from the Kamakura Shogunate, then under the leadership of the Hojo clan.